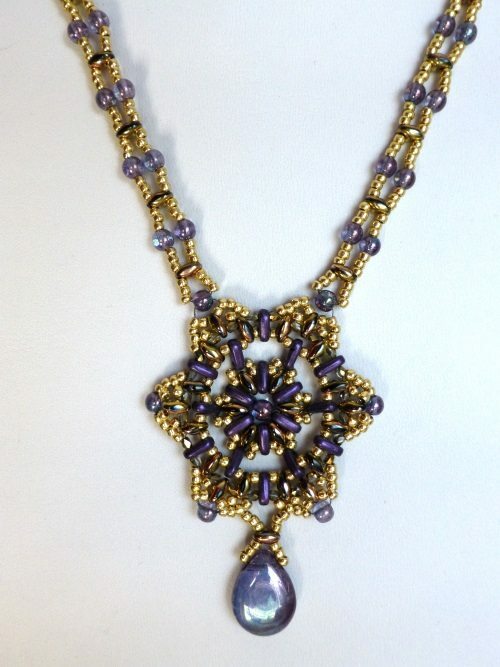 Tools needed to complete this are: Fireline, and a beading needle, everything else included. Magsafe clasp is included. 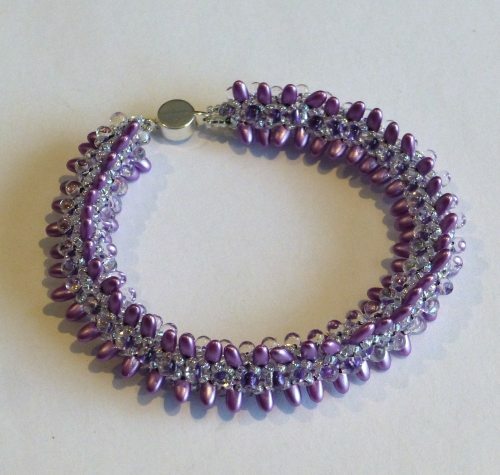 Contains a list of bead colours used, so you are able to get more of those you like or to make accessories to match. Level: beginner. 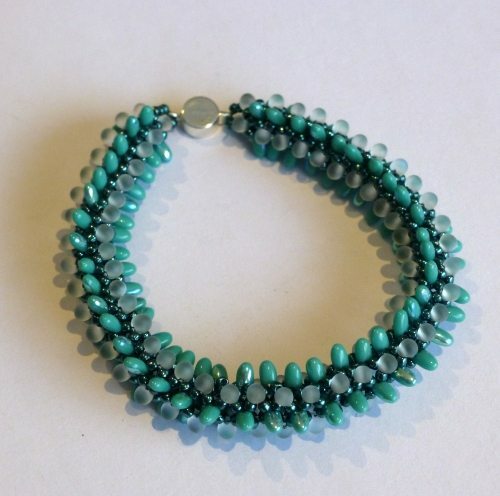 Basic bead weaving techniques are needed. Level: beginner/intermediate. Basic bead weaving techniques are needed, plus beading with small size 15/0 seed beads. Tools needed to complete this are: Fireline, or good quality thread (e.g.One G)  and a beading needle, everything else included. 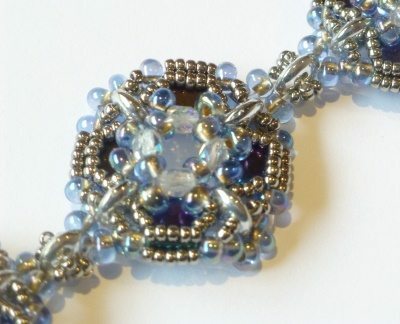 Toggle is beaded, so no metal clasp is included. Tools needed to complete this are: Fireline, and a beading needle, everything else included. Magsafe clasp is included.